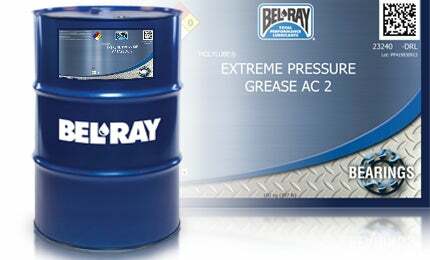 Molylube Extreme Pressure Grease AC, commonly known as Molylube 126 EP Grease, is a mineral oil based extreme pressure aluminium complex grease. Because it is an aluminium complex grease, Molylube Extreme Pressure Grease AC exhibits all of the beneficial characteristic of that thickener, including resistance to water washout, excellent pumpability, and mechanical and thermal stability. Molylube Extreme Pressure Grease AC’s low oil separation and good pumpability make it ideal for use in centralised lubrication systems. It’s recommended for general greasing of mining machinery. Useful temperature range -12°C to 177°C (10°F to 350°F).